DeKalb, Ill. • Against this team of Huskies, Utah finally found a solution. When those other Huskies visit them next weekend, the Utes' problems might be exposed beyond the ability of Chase Hansen, Britain Covey or any other star player to save them. Hansen’s interception return for a touchdown clinched a 17-6 victory over Northern Illinois and saved the Utes from some degree of embarrassment Saturday night in front of 16,762 fans at Huskie Stadium. Next, though, come the No. 9 Washington Huskies. Uh, oh. That's basically what Ute coach Kyle Whittingham said afterward. “I'm always projecting. … My mentality is 'OK, if we play like this, then what?' That's won't be good,” Whittingham said. That's understandable. Coaches usually think differently than the rest of the world, being willing to accept a win and move ahead. 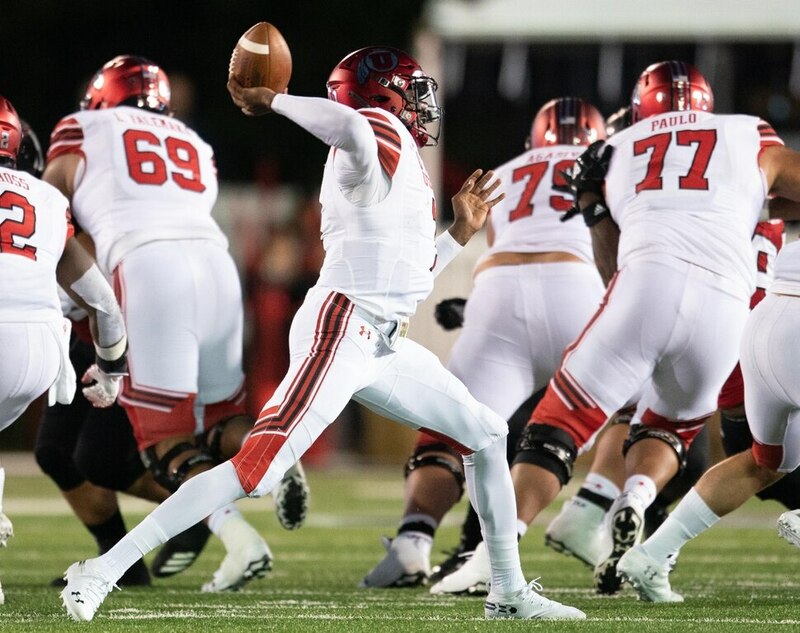 Whittingham reacted like any fan would Saturday, worrying that his team's struggles for 57 minutes against a Group of Five team and his offense's 10-point showing suggest trouble ahead. The Utes have one of the country's toughest remaining schedules, starting with Washington, Stanford and USC among their first five conference games. 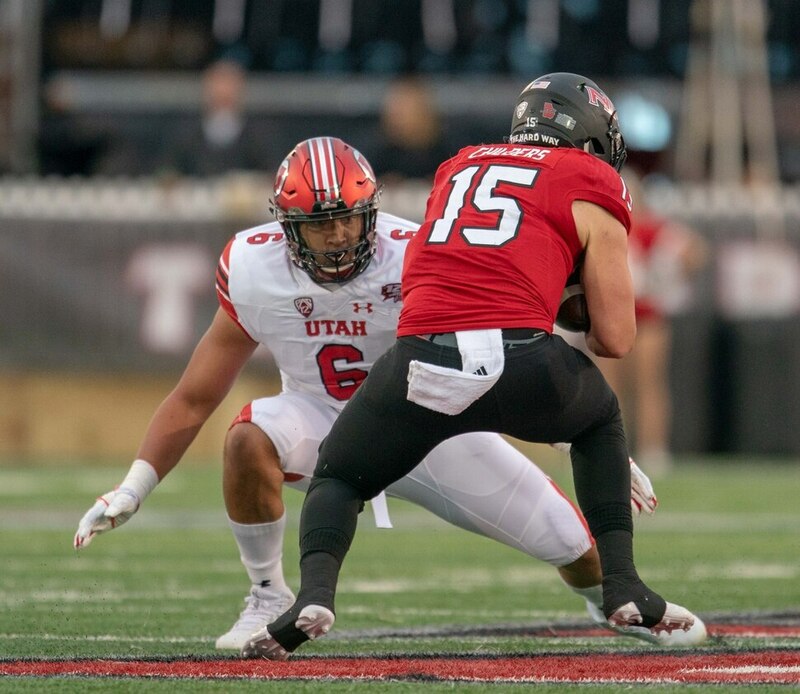 Even before his team took the field, Whittingham publicly wondered about the value of playing this road game, far from any part of Utah's recruiting area and in the smallest stadium where the Utes have played in 40 years. As the game unfolded, and the Utes genuinely were in danger of losing, he hardly was the only one questioning the whole idea. The Utes did survive this misadventure; that's consoling. As Whittingham said, “Thank goodness for the defense.” And maybe this is the most refreshing part of the whole exercise: They know this stuff is not good enough. “This isn't an offense that's going to wallow in self-pity because of a rough performance,” Covey promised. That's just the problem, though. Covey couldn't find complete joy in his own eight-catch, 129-yard showing. Not when the offense needed his clutch plays just to produce one touchdown and one field goal. Utah's litany of problems sounds like a repeat of the season opener, only worse – because of the higher quality of opponents in the Pac-12. So did Hansen, who's part of a Utah defense that has allowed only one touchdown in two games, via Weber State's 2-yard drive. Hansen's group outscored NIU 7-6, thanks to the linebacker's 40-yard pick-six on the first play on what might have become the Huskies' winning drive. With the Utes leading 10-6 in the last three minutes, he jumped in front of a receiver on a crossing route, caught the ball and raced to the end zone. “Luckily, I didn't overrun it,” he said. Thankfully, the Ute offense received that kind of help. The numbers appear respectable; Huntley completed 20 of 31 passes for 286 yards. But sacks, holding penalties and other drive-killing mistakes made any stats seem hollow – and a 354-yard night is not much production for a Power Five offense. It was illogical for anyone to lump Weber State and Northern Illinois together as a season-opening package of easy wins for Utah, considering the Huskies' credentials as a solid Group of Five program. Even so, the Utes' struggles for nearly 60 minutes Saturday were disturbing. 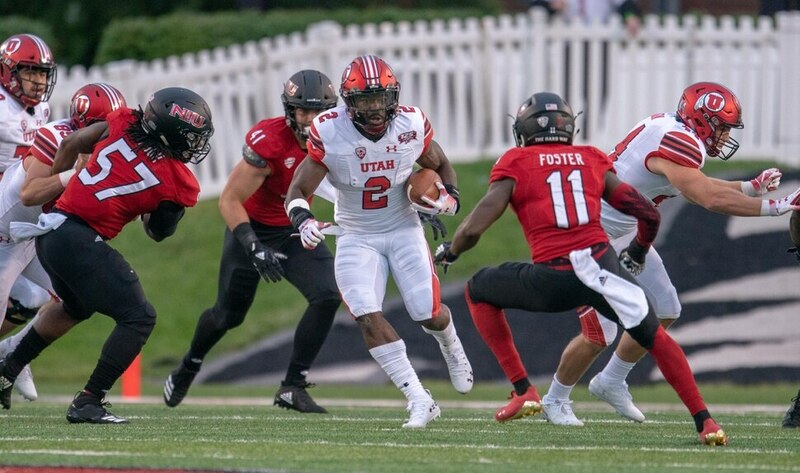 For the second game in a row, the Utes had a field-goal try blocked, were stuffed on a fourth-and-1 running play and lost the ball via a punt-return mixup. Some victories evoke happiness; other merely offer relief. And in college football, there are some Huskies, and then there are other Huskies. The Utes understand that concept, fully.